The largest university sport event in Europe, the European Universities Games, also feature bridge tournament next year. 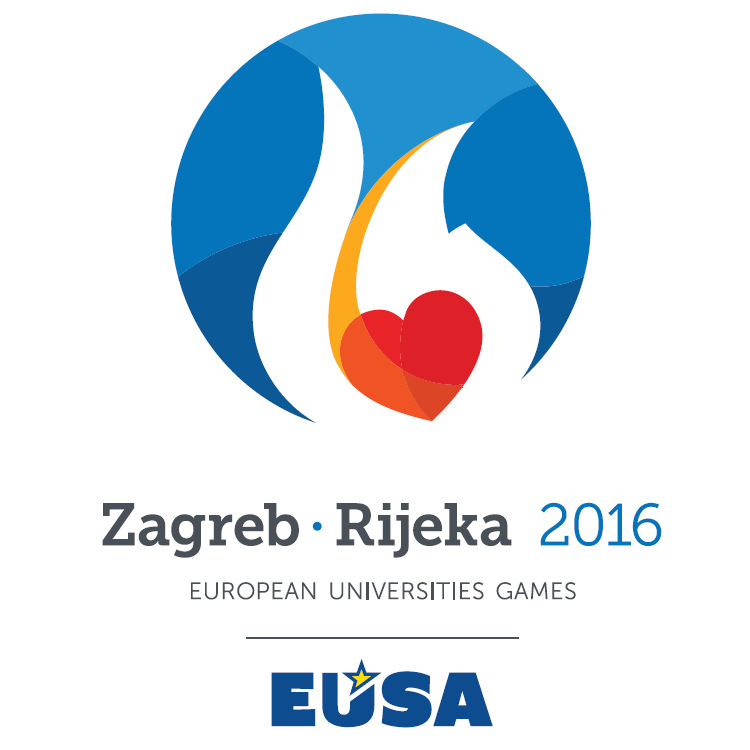 European university teams are invited to participate in the 3rd European Universities Games, which will be organised in Zagreb and Rijeka, Croatia in July 2016. The Games will be held in two Croatian cities, the capital Zagreb and the coastal city of Rijeka, encompassing the event slogan Heart Believes - Mind Achieves. European Universities Games will feature competitions for men and women in 21 sports: Badminton, Basketball, Basketball 3x3, Beach Volleyball, Bridge, Chess, Football, Futsal, Golf, Handball, Judo, Karate, Rowing, Rugby 7's, Sport Climbing, Swimming, Table Tennis, Taekwondo, Tennis, Volleyball and Water Polo. Two of the sports - Table Tennis and Swimming - will also include competitions for students with disabilities. Apart of the sports competitions, the Games will be accompanied by the Rector's Conference, educational side-events, cultural program and other activities. Bridge competitions will be in form of a mixed gender tournament, with pairs as a side event, and will be held in Zagreb, staring on July 11 with the General Technical Meeting and finishing on July 15 with the finals. University teams representing any higher educational institute in Europe may register through their national university sports bodies in any of the 45 EUSA-member European countries. European Universities Games are the largest multi-sport event in the European university sport and are held under the umbrella of European Universities Sports Association (EUSA). So far, EUG has been held twice (Cordoba 2012 and Rotterdam 2014). For more information, please see www.eusa.eu or www.eug2016.com.